I recently did a review of ShareOwner discount brokerage, which promotes regular dividend stock purchases. One thing that came out of that review, is that regardless of how cheap the trading costs are – regular purchases of stocks are quite expensive. In this post, I’m going to discuss some strategies to buy dividend stocks (or any other kind of stocks) in the cheapest manner possible at discount brokerages. Buy one stock at a time. Buy less often. Save up for your purchases until the commissions are less than 1% of the purchase price. Shop around for lower account administration fees. Pick the appropriate brokerage for trading fees. If you want to make regular purchases with your money, then don’t buy more than one stock each time. For example if you have $500 per month to invest and a portfolio of 5 stocks to add to – just pick one stock each month and buy $500 worth of that stock. Regardless of your trading costs, doing one trade per month vs five is 80% cheaper. Annual administrative fees vary quite a bit between financial instituation and between account types. At Questrade, there are no account fees regardless of the type of account or your balance. Most of the big banks charge $50/year in fees until your account balance is greater than $25,000. 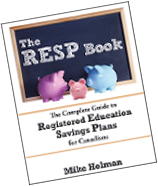 ShareOwner has no account fee for their unregistered account, but their annual RRSP fee is a whopping $79. ShareOwner also charges “withdrawal fees” which are applied if you remove money from your account. 4) Pick a brokerage that fits your trading patterns. I picked Questrade discount brokerage because they meet my needs and are the cheapest brokerage in Canada. The trades are $4.95 and there are no annual account fees. However, it’s important for investors to look at their own situation when deciding on which brokerage to use. If you like to buy several stocks at a time, then ShareOwner might be the best choice. They have a maximum fee of $40 per trade batch so you can make a purchase in 40 stocks and it will only cost $40. Bargain. Active traders have to look at costs, but they also need to consider the trading platform. There is no point in saving $4 per trade if the best available trading platform doesn’t allow them to trade the way they want to. If you like to get more services, such as research reports then you might have to go to a more expensive brokerage. Converting currencies? Interactive Brokers has the cheapest currency conversion rates by far. However, don’t even think of opening up an RRSP at IB because they don’t have them. Any other suggestions on what to look for in a brokerage? I’m not sure how it works exactly but you can also buy some dividend stocks directly from the company. You have to buy a share and have someone hold it for you?? Then you can buy as many shares as you like or Drip them and there are no commissions. Rinse and repeat as many times as you like. Set up cost for this are high apparently but it can be advantageous if you like a certain company and want to buy it continuously as you can afford it. Google is your friend if you need more details on this method. For my own stock accounts I have both scotiaitrade and questrade. I think this is a very good idea I buy mostly warrants which can trade in the hundreds of thousands. Scotia does not charge me for removing liquidity and Questrade does. So if I want to swoop in a purchase a great deal at market price I use Scotiaitrade and if I am putting in an order I use Questrade. This absolutely does not affect dividend stock buyers. Last December Scotiaitrade did horrible things to their systems and they were all screwed up. This could probably happen with any company so it might be a good idea to have two accounts as long as they aren’t charging you fees. Thanks Rachelle – actually this article was just for discount brokerages since they are a lot easier than buying stocks directly from the company. If I had to pick the best account for trading it would be Questrade it’s reasonably priced and that’s good. Yeah I have read up on buying dividend stocks from the company and it is definitely for those very committed to the company. 🙂 It seems very complicated. Buying stocks from the company can be a fun way to get started in stocks with a very small amount of money. In fact, Mr. Cheap bought my kids a share in BMO which is kind of neat. Actually it is a very cool gift and a good way to teach kids about stock trading. Nice post! Personally, the brokerage interface is important as well as its reliability. Waterhouse based on experience is great. Good article! I started with TradeKing($5 a trade & no goofy fees) but then moved t0 $7 atrade with Scottrade. The exra two bucks is worth it if you read all the financial reports like I do. Paying for Standard & Poors, Reuters, Second Opinion Weekly, and others are costly. These are free with any Scottrade account. Do diligent research and be patient… wealth will come. I read all the posts with quite some interest. I am keen on starting to trade, however, have absolutely no experience in how to start. What Rachelle had mentioned, CCJ.TO is serious at $0.11?? Where do you all advise a beginner to start looking for trade. All this is new knowledge for me, but I believe that there is always the first time in everything!! !